Today we were promised a unique celestial event – not just a super moon! but a super blue moon!! My imagination ran wild. Earlier this evening I looked up to the heavens in anticipation, and high hopes. 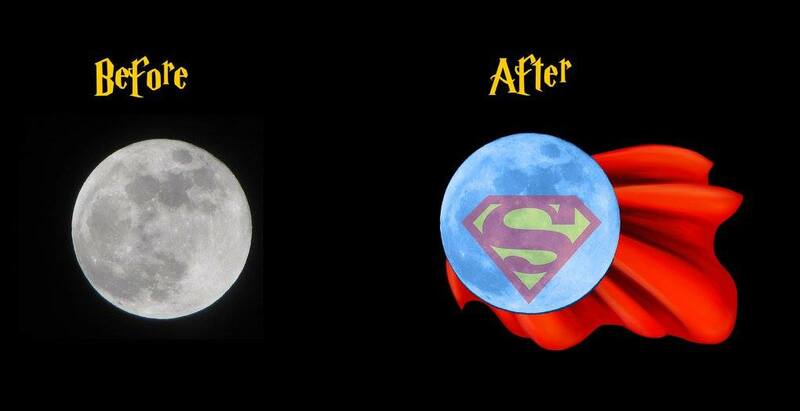 But wait… it’s just a regular full moon! heading back to the flat disappointed, fearing the evening was fair ruined, one turned to Photoshop for help as – I really wanted to see a Super Blue moon. This entry was posted in Fun and tagged Super Blue Moon on January 1, 2018 by Mark Rainford.